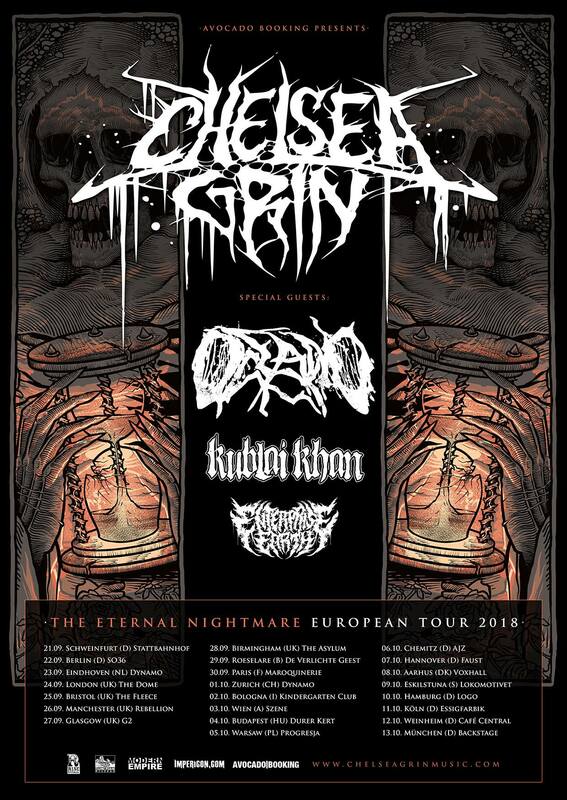 HomeBootlegBootleg: Chelsea Grin in Louisville Kentucky! Bootleg: Chelsea Grin in Louisville Kentucky! Filmed on 15th November at The Tiger Room in Louisville, Kentucky, here’s a full set from Deathcore heavyweights Chelsea Grin. Including a massive 8 songs from current album “Eternal Nightmare” as well as classics like “Recreant” it’s a decent watch. Will Alex Koehler return? Seems unlikely on this evidence. Bootleg: Second Death at Cluck U! Bootleg: Outline In Color in Lakewood Ohio! Bootleg: Pro-Shot full set from Infected Rain!